McMullin, Rachel and Walton, Kerry. 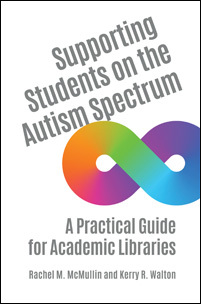 Supporting Students on the Autism Spectrum: A Practical Guide for Academic Libraries. Libraries Unlimited, 2019. ABC-CLIO, publisher.abc-clio.com/9781440863974.